We’re all guilty! As bloggers these things come as second nature to us, but our non-blogger friends thing we are pretty darn bonkers! 1. We buy things just because they look pretty in our Instagram pictures. I clearly have no need to own 15 different pastel pink and rose gold note books, but I do. Because they’re pretty. 2. Being a blogger isn’t just about going to cool events and getting free stuff (although that is a major perk of the job) – it’s actually bloody hard work, takes hours and hours and generally takes over your life. 3. We justify our shopping habits as a crucial business expense, when really we just want to own everything on ASOS New In – Pages 1-3. 4. We made a trip to the latest brunch spot in Chelsea just to get that Instagram snap of a fruit bowl and cup of tea on a marble table. Then spend half an hour rearranging the crockery and spilling over our orange juice then ruining the photo because we don’t want cold tea darn it! 5. A lot of what you see isn’t real. We don’t all own marble tables, have wooden floorboards, and new fresh flower deliveries every week. Oh no. A lot of what you see is all thanks to a bit of clever manoeuvring of flooring samples, sticky back marble plastic, and the result of a bulk photo-taking session! 6. It’s not actually that glamorous. 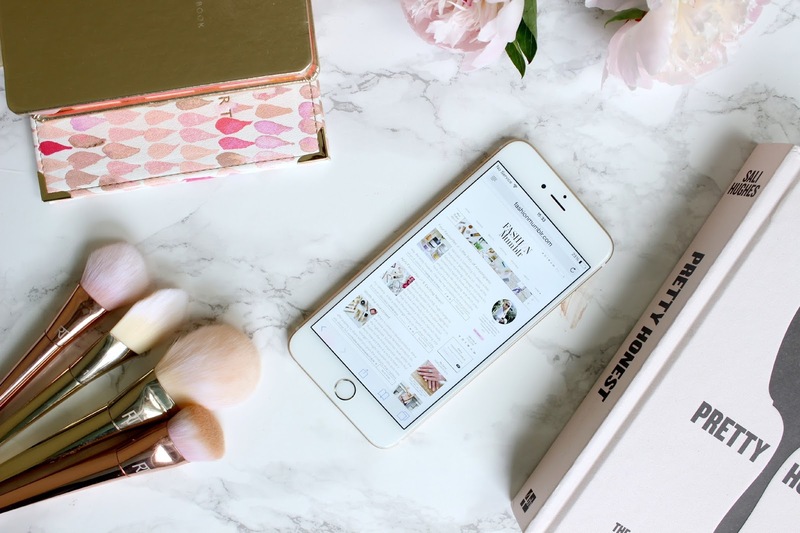 OK sometimes it is – I loved getting dolled up like the celebs before going to the BAFTA’s, and almost every event these days has a manicurist ready to transform your talons but there is a lot about blogging which isn’t so glam. Like lugging a suitcase around Kensington then falling flat on your face when racing from one outfit shoot location to the next. 7. We frequently purchase products just because they’re gonna look pretty in our pictures. 8. And then spend hours making minute tweaks to the positioning to make sure they look absolutely perfect, even if it means that things are precariously propped up with blue tac, masking tape, chewing gum or whatever.